Cardinal offers profound thoughts on importance of silence. Published 12/29/2017. Books. 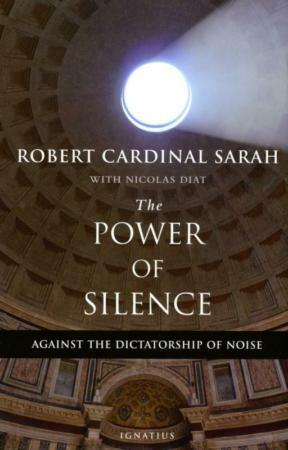 "The Power of Silence: Against the Dictatorship of Noise" by Cardinal Robert Sarah with Nicolas Diat; translated by Michael J. Miller. Ignatius Press (San Francisco, 2017). 247 pp., $17.95. The ancient psalm, "Be still and know that I am God," is a challenge in today's world of constant noise and distraction. But it is necessary if we wish to know God -- and ourselves and our purpose in this world -- fully. Cardinal Robert Sarah, in an unusual and far-ranging interview by the French journalist Nicolas Diat, offers profound observations about silence and why we must seek it. He starts with an insight offered by Pope Benedict XVI in a homily from 2010, that "we live in a society in which it seems that every space, every moment must be 'filled' with projects, activities and noise; there is often no time even to listen or to converse." Indeed, Cardinal Sarah notes, "many people are obliged to work in a chaos that distresses and dehumanizes them. ...Cities have become noisy furnaces in which even nights are not spared the assault of noise." Why does noise often seem so appealing? One explanation offered by the cardinal is that it provides a familiar security, "like a drug. ...With its festive appearance, noise is a whirlwind that avoids facing itself. Agitation becomes a tranquilizer, a sedative, a morphine pump, a sort of reverie, an incoherent dream-world." Yet we cannot truly appreciate the wonders of the natural world except in silence; and this is also true of great art and music, which are both created and contemplated in solitude. These are among many insights offered. The wide range of sources from which Cardinal Sarah draws is impressive. The Virgin Mary, King Solomon, the Trappist monk Thomas Merton, Mother Teresa, the Benedictine monk Dom Mocquereau and Sts. John the Baptist and Cyprian of Carthage, are just a few of the many voices that inform the book. It's noteworthy that John the Baptist spent 30 years in the desert wilderness in solitude, which gave him the opportunity to forge a deep relationship with God. Cardinal Sarah also points out that Mother Teresa's "intimate knowledge of silence" sustained her, inspiring her to "imitate ... Christ in his silence, humility, poverty, meekness and charity." Cardinal Sarah, who was born in Guinea, West Africa, was made an archbishop by Pope John Paul II and a cardinal by Pope Benedict XVI. 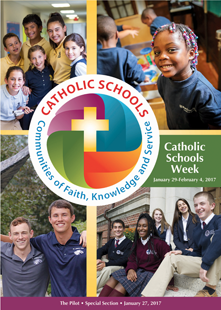 Pope Francis in 2014 declared him the prefect of the Congregation for Divine Worship and the Sacraments. He is the author of an earlier book with Diat, "God or Nothing." He writes that "all the great moments of my day are found in the incomparable hours that I spend on my knees in darkness before the most blessed sacrament of the body and blood of our Lord Jesus Christ." He displays a profound understanding of the familiar Old Testament passage, "In quietness and confidence shall be your strength" (Is 30:15). Of all of the noisy scourges of modern life, he suggests that one of the worst is gossip: "Excessive, presumptuous, slanderous and immoderate chatter often has disastrous consequences." While such "facile words and demagoguery" can hamper spirituality, the practice of silence nourishes the kind of thoughtfulness that helps us "enter into the mystery of God." At the same time, Cardinal Sarah does not endorse remaining mute; he endorses the wisdom of Ecclesiastes, "There is ... a time to keep silence, and a time to speak. If there is a need to speak, or if charity requires it, then the Christian should speak. Or, as St. Chrysostom said, "'Speak only when it is more useful to speak than to be silent.'" The book is organized into five chapters that together cover all aspects of the subject. The last chapter raises the perennial problem of evil. How to explain the "extermination camps of totalitarian systems" and "children born with terrible handicaps"? Impossible, Cardinal Sarah writes; there's no real explanation for the unjust mystery of suffering. He calls for Christians to trust in God, "who always watches over us," and to remember that "God does not will evil" or desire war. The cardinal asserts that silence and prayer are the most powerful weapons to fight evil in our arsenal, reminiscent, perhaps, of Dorothy Day's call in the 1940s and beyond to practice the "spiritual warfare" of prayer to halt the evil of war. Finally, Cardinal Sarah counsels that the best way to deal with the sorrow of death is to emulate the Virgin Mary, who stood silently at the foot of the cross. This sacred moment, when the dying person is about to see God, is "the most beautiful silence in earthly life." While most Catholics are not called to a life of Carthusian silence, they will welcome this in-depth exploration of the necessity, meaning and practice of everyday silence in the contemporary world. Roberts directs the journalism program at the University at Albany, SUNY, and has written two books about Dorothy Day and the Catholic Worker.